RLK4-210WB4 security system is the first and the easiest wireless NVR security camera system ever! It's based on 2.4GHz WiFi. Cameras and the NVR are plugged-in, and each camera connects to the NVR wirelessly. Just power on and all is done. It releases you from messy cablings. No configuration! 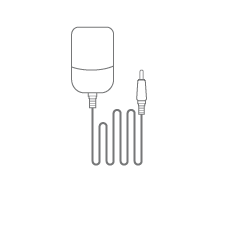 It’s a real plug and play system – installation can’t be simpler for DIY enthusiasts! An awesome home/business wireless security system! It enables you to view the world at 1920x1080 Full HD resolution. Much better than 720p systems and traditional DVRs, this Reolink RLK4-210WB4 1080p NVR security camera system provides true sharp video feed. ●Pre-installed 1TB HDD for 24/7 recording (support up to 4TB). ●Support all 4 cameras recording at the same time. ●If you want longer recording, try motion detection recording, which will trigger recording only when motion is detected. 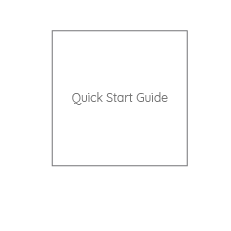 ●Allow you to install an external hard disk drive via e-SATA for more storage (up to 4TB). Intelligently detect moving objects and trigger alerts without delays when dangers occur. Inform you in real time when invasion happens. Connect the system to a monitor or an HD TV, and you can get local access and control. 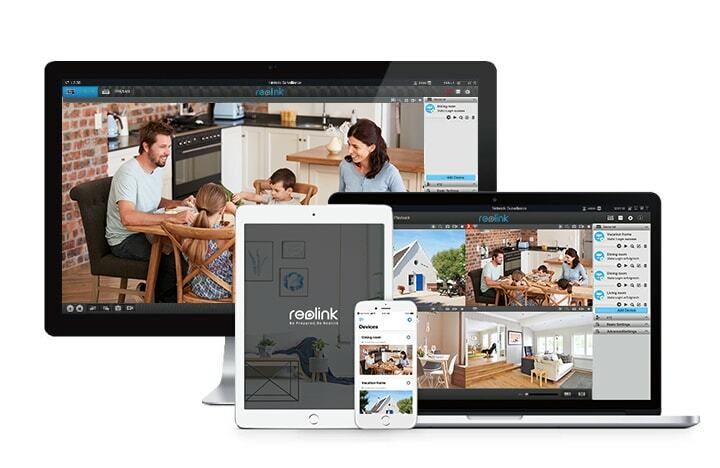 Install free Reolink App on iOS & Android devices, free Reolink Client on Windows PCs & Mac computers, or visit IE browser, and you will get remote access and monitoring. The 1080p IP cameras of this wireless RLK4-210WB4 system have a very good night image quality, up to 100 feet night vision in the dark, with 36pcs LED lights and infrared radiation for 24-hour vigilance. If you are looking for a wireless security system with good night vision, try this one. ●Replay significant evidence or funny video records. ●4-channel playback at the same time. ●Quick search for any event video. ●Playback any video on different days, hours, or minutes by controlling the timer axis under the split screen. Prepare one USB flash drive and insert it to one of the USB ports on the NVR for local backup. ●Launch Reolink Client on your computer. ●Go to the page Playback -> Remote Playback. ●Download the recording files for backup. 4MP Dual-Band WiFi Bullet IP Camera; Support Audio Recording; with SD Card Slot. Stay Safe with 5MP/4MP PoE Security Video System! 3TB HDD 16-Channel NVR for 24/7 Recording.